One of our consultants, Sara MacDougall, participated in Handle with Care facilitator training in April in Halifax. The training was an opportunity for participants from many sectors (such as mental health, education, social work, and community agencies) to learn sensitive facilitation skills that have the power of strengthening the entire family. Sara is now facilitating an eight week session for parents in Stratford, PEI. 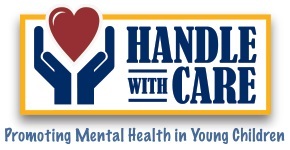 Handle with Care is a program designed for parents and caregivers to promote the mental health of children and youth. It consists of simple, highly interactive activities that build on the strengths of parents and caregivers. Handle with Care was developed due to a need identified by professionals regarding the promotion of mental health in children and youth. Parents are the child’s first and most important “teachers”; therefore they must be leaders in this promotion. Handle with Care is making a difference through building resiliency; bringing hope to children, youth and families; and building community capacity. The program is adaptable to all ages and cultures.